As with any project, having the right equipment for the job is essential for a successful outcome and is particularly true when considering construction equipment and industrial machines. Trying to manage a job with equipment that is not specifically meant for the task or may be unable to handle the scope of the task is potentially wasteful and very dangerous. Performing heavy lifting jobs are one of the main functions construction companies must perform, whether it is for the transportation of material, site preparation, equipment delivery, or any number of other functions. It is in these situations where knuckleboom trucks have become such an equipment staple because of its versatility; so finding the right unit for the job is essential. 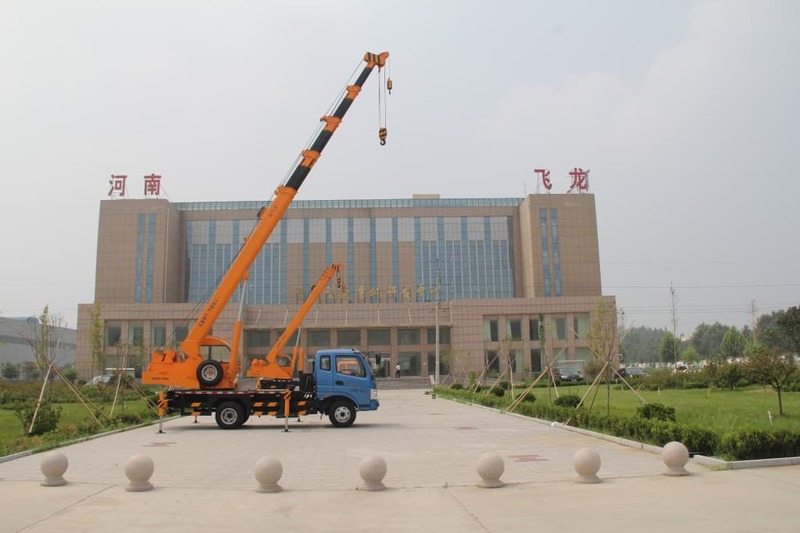 The two main factors that need to be considered when deciding on which boom or crane truck is the right one for a business are the vehicle specifications which would include the chassis type, vehicle weight, payload, load lifting capacity, etc. and its intended use. A truck’s chassis is generally what will dictate the size and performance capacity of that unit. The chassis, frame and design can offer a variety of options, all of which need to be researched when looking for a suitable unit for a particular job. 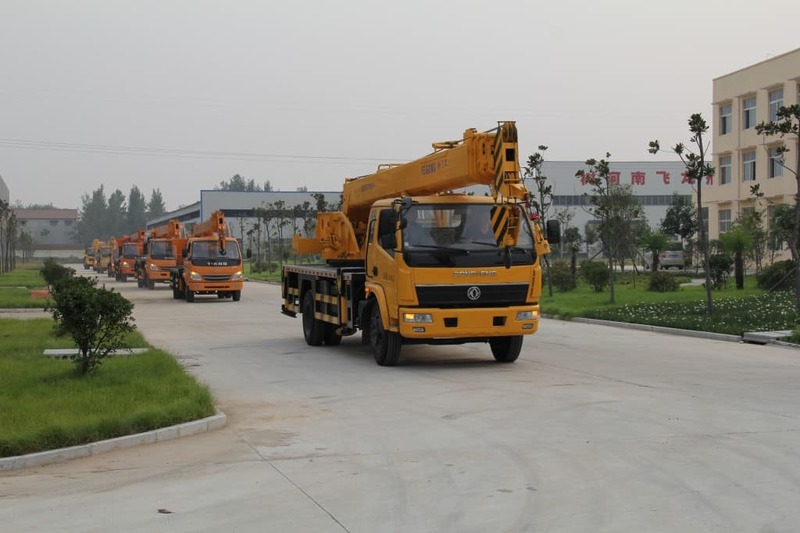 With larger crane units, the first consideration should be the reaching capacity of the arm itself since the rest of the unit will be appropriately built for that specification. The longer the boom and the higher the lift, the bigger and heavier the chassis must be to handle the load being lifted with stability. For smaller applications, the chassis can be smaller and lighter in comparison to the reach of the boom. Other more versatile arms can be used as well; however, in these cases it is critical to really understand the need and capacity of the vehicle. Over-buying or renting too large of a vehicle is a waste of money; however, under-buying or renting too small of a machine could be very costly in other ways. 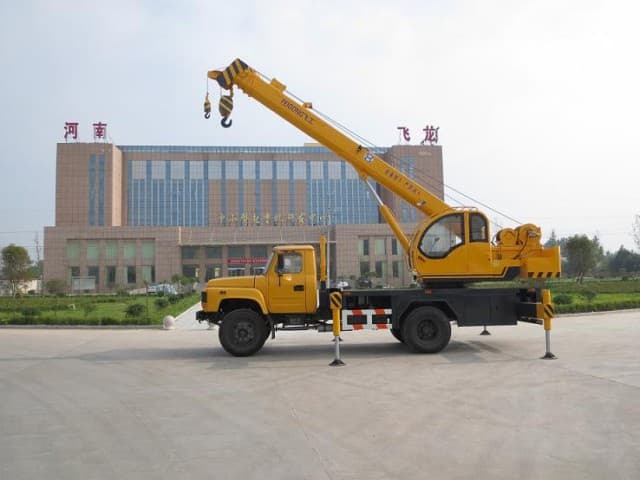 Cranes – These are full-sized units, usually with straight, telescoping arms designated for reach and height only. 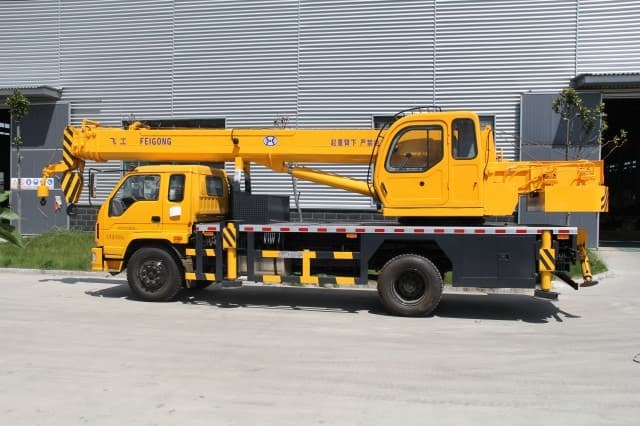 They are usually the heaviest of all boom trucks, the least versatile and offer little payload capacity due to the storage of the telescoping, non-jointed arm. 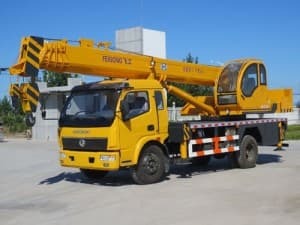 Aerial Boom or Bucket – These are smaller vehicles that are many times built on a utility body and chassis, with articulated arms and a bucket or basket to elevate workers high enough to reach power lines, windows, building signs, etc. 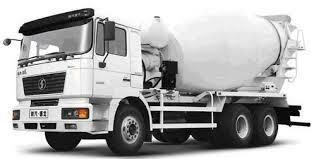 They are most useful for smaller reaches and tighter spaces where even a small flatbed vehicle could not fit. Knuckleboom – These are vehicles that combine the previous two types. 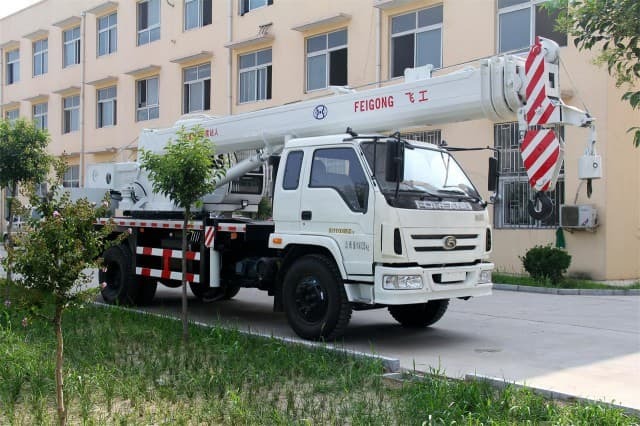 It is generally much smaller than any full size crane truck since the articulated arm stores more efficiently, allowing for a considerably higher payload capacity; yet they are larger than any aerial boom truck. Knuckleboom trucks are at the lease available on a small flatbed chassis all the way up to quite large truck beds with various arm sizes to match, making these units the most useful of all boom trucks. With the number of attachment options available for the many different sizes of boom trucks and chassis, it is possible for a custom unit to be built for just about any need as long as those needs are accurately documented. Knuckleboom trucks of various sizes can be the most useful and versatile of all of the different types of these vehicles as long as their size and capacity can handle the job for which they are intended!